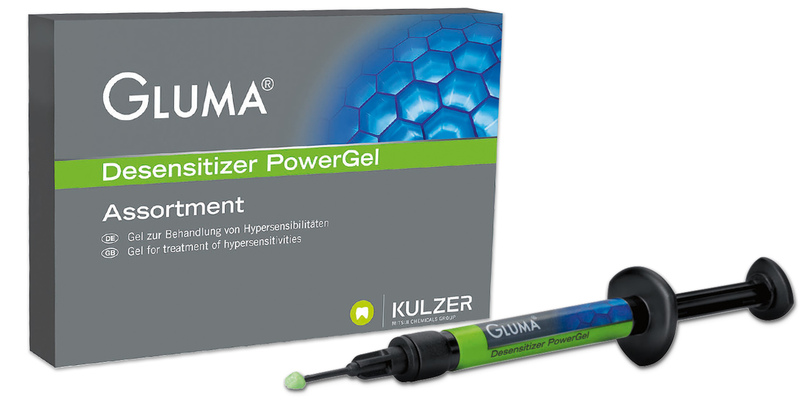 Unique, one-step syringeable gel allows for greater placement accuracy with the same proven effectiveness as Gluma Desensitizer. Green color enhances visibility for easier placement, and rinses clean. Reduces post-prep dentin sensitivity and hypersensitivity in exposed cervical areas. Contains: 4 x 1.0g syringes, 20 brush cannulas, pictorial card.